From Rainmaker Entertainment and Blockade Entertainment, Ratchet & Clank is a CG-animated movie based on the iconic PlayStation video game. These two unlikely heroes join forces with a team of colorful heroes called the Galactic Rangers in order to save the galaxy. While they save the galaxy from a vile villain, we can save the world from villainy as well. 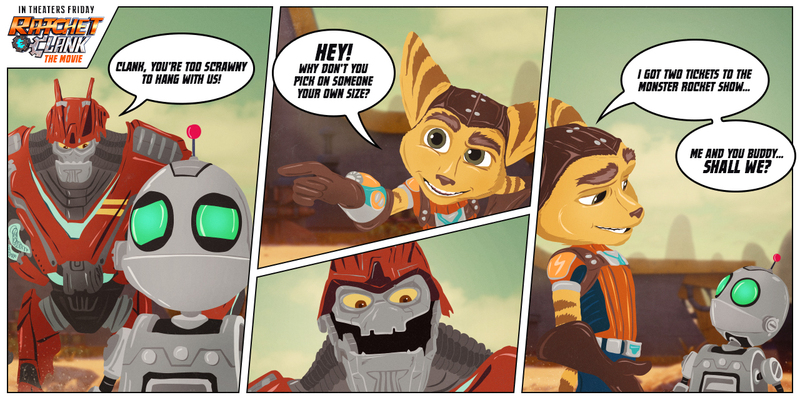 In an All-New Comic, Ratchet & Clank share how we can defeat villainy and save the world with valuable life lessons that everybody should follow. By helping our friends, helping to stop and prevent bullying, and protecting the planet, we are becoming heroes in everyday life. Check out the comics below and share them with your kids. While your family is learning these life lessons, everyone can have fun with the sheepinator. Use the Sheepinator to rid the internet of negative energy by zapping mean tweets into fluffy sheep! There is an adult version and a kid version. 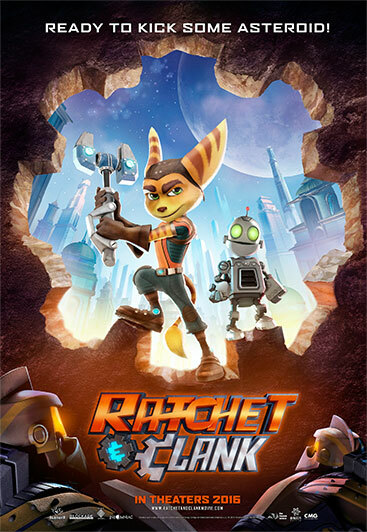 Synopsis: From Rainmaker Entertainment and Blockade Entertainment, Ratchet & Clank is a CG-animated movie based on the iconic PlayStation video game. Two unlikely heroes struggle to stop a vile alien named Chairman Drek from destroying every planet in the Solana Galaxy. Ratchet is the last of his kind, a foolhardy “lombax” who has grown up alone on a backwater planet with no family of his own. 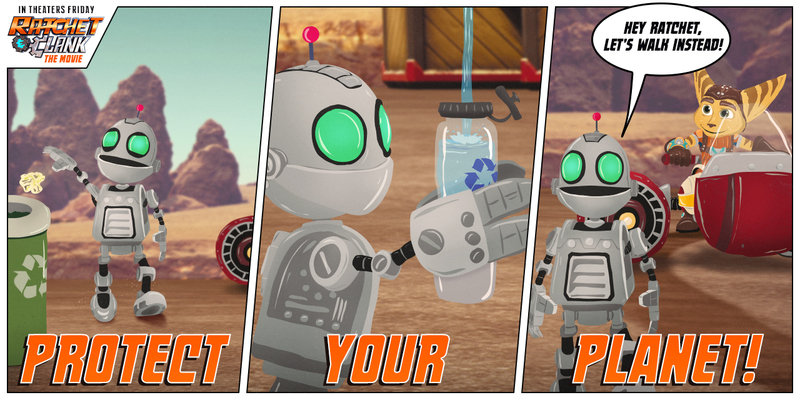 Clank is a pint-sized robot with more brains than brawn. When the two stumble upon a dangerous weapon capable of destroying entire planets, they must join forces with a team of colorful heroes called The Galactic Rangers in order to save the galaxy. Along the way, they will learn about heroism, friendship, and the importance of discovering one’s own identity.